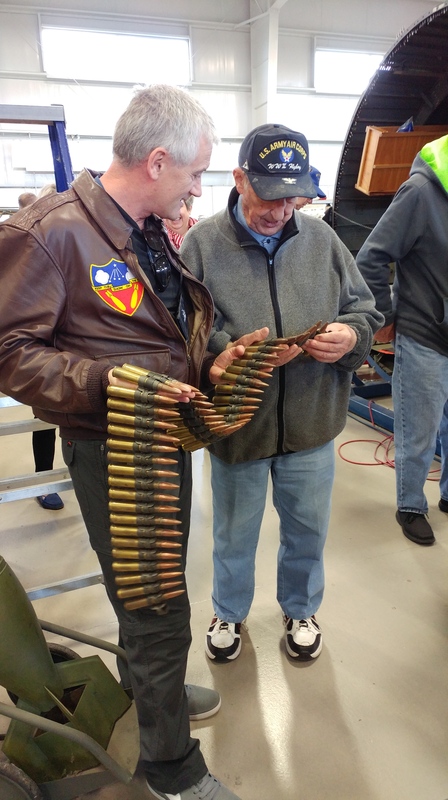 The last time I caught up with Mark Meehl was in October in Dayton, Ohio at the latest 384th Bomb Group Reunion. Both Mark and his brother Jerry attended as they have for many years. 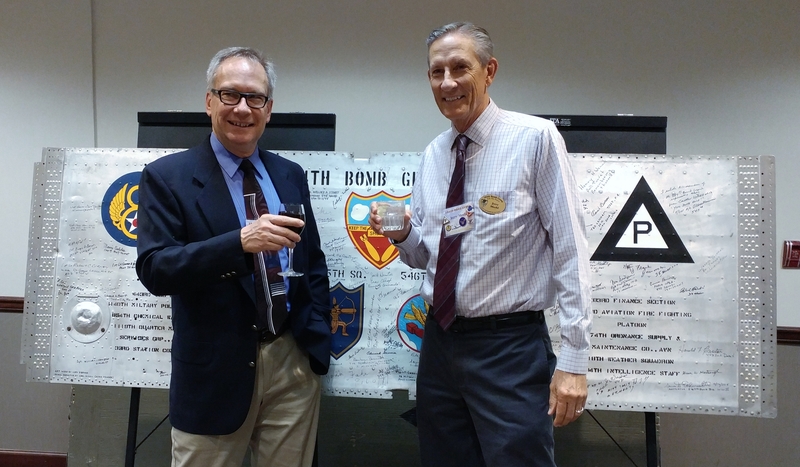 Mark and Jerry’s dad, Paul Edwin Meehl, was a ground crew chief assigned to the 384th’s 547th Bomb Squadron from early 1943 through the end of the war. He also transferred with the group to Istres, France at the end of the war in Europe. Mark is the group’s archivist, is a researcher who specializes in ground personnel, and also maintains the master log of all combat sorties. Mark’s brother Jerry (Gerald) is also interested in military history and has written or co-written three books, one with 384th Bomb Group waist gunner Jack Goetz. At the reunion, I mentioned to Mark that I wanted to attend the group’s next junket to England – in September 2019 – and hoped to find the site of some air base photos in my dad’s collection. Mark shared scans of a couple of maps of the Station 106 site plan at Grafton Underwood with me and using them I believe I may be able to stand in the very same area the photos were taken when I visit. 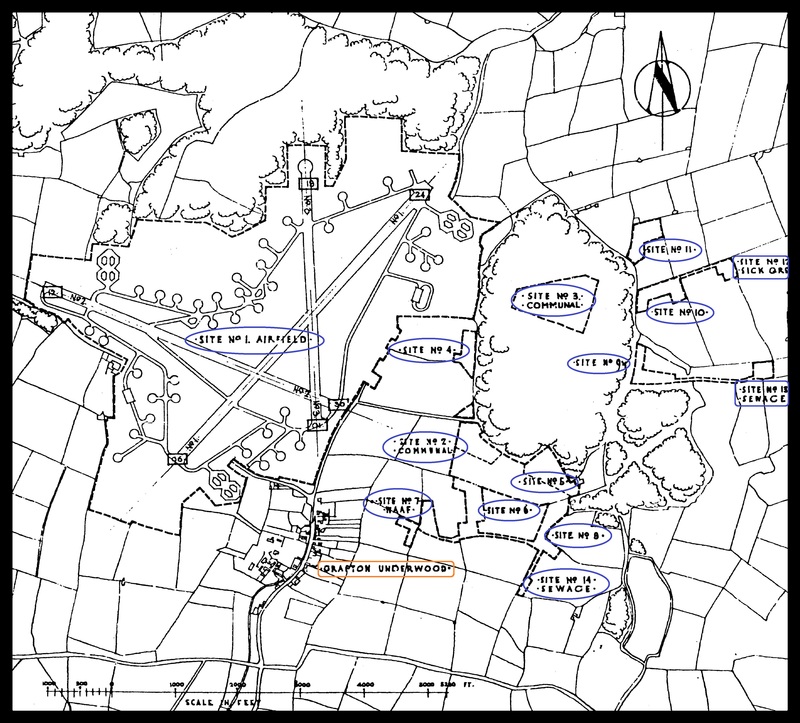 For starters, this map that Mark shared with me shows the entire site with runways, living areas, and the small village of Grafton Underwood. 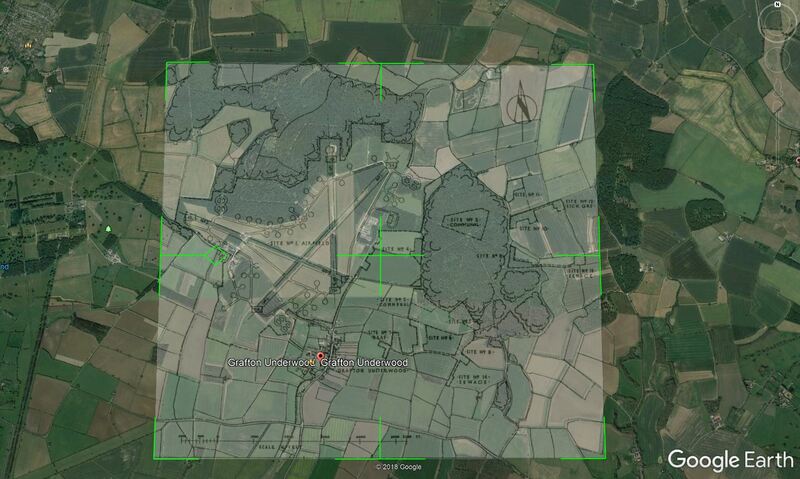 Overall plan of the Grafton Underwood airfield and all the site areas. Site No. 7 – W.A.A.F. I’ll be playing around with this feature of Google Earth some more and try to get better results, but I’m pretty pleased with my first attempt. My dad was in the 544th Bomb Squadron, so one of my interests is in Site No. 8. I believe my dad’s photos were taken in this area, and I’ll explore that site in more detail in a future post. 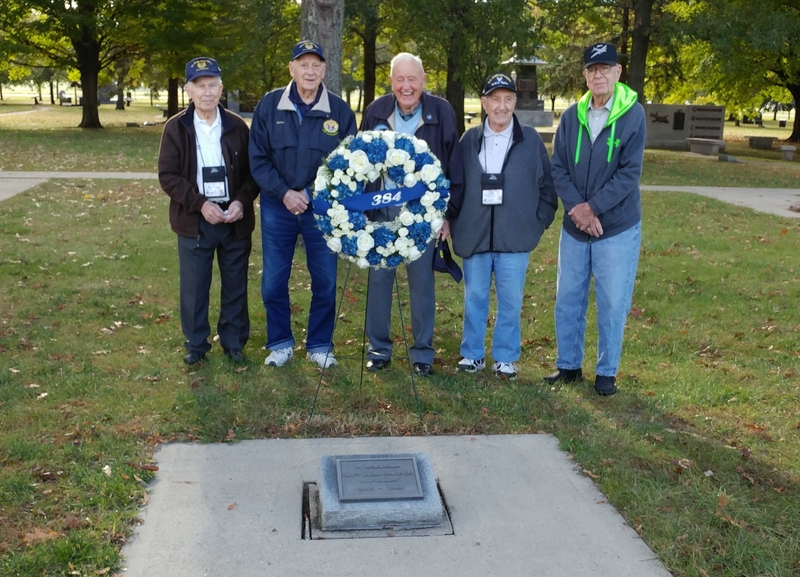 When I returned from the 384th Bomb Group’s 2018 reunion in Dayton, Ohio, I posted a few photos here. I have now had a chance to sort through the three hundred-plus photos I took and have posted about five dozen in the group’s photo gallery. The link is to the main album, which contains all photos contributed by reunion attendees. My photos, at least for now, are in the sub-album “Cindy Bryan’s Photos.” These may be rolled up into the main album in the future, so if you don’t see my sub-album, you can assume all my photos have been moved into the main album. Here are just a few more of my photos from the 2018 Reunion in Dayton, but you can see lots more using the photo gallery link to the group’s online photo gallery. After a short bus ride from our reunion hotel, we gathered around the 384th Bomb Group memorial outside the museum. An honor guard presented the colors and taps was played. 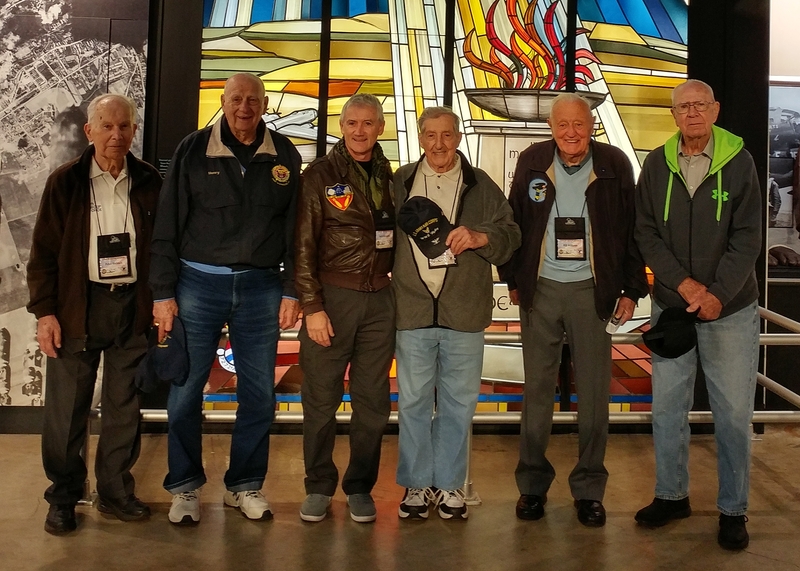 Never missing an opportunity to photograph our veteran heroes, our group posed inside the museum in front of the Memphis Belle (see previous post), and with UK friend of the group, Neill Howarth, in front of the museum’s soaring stained glass backdrop. 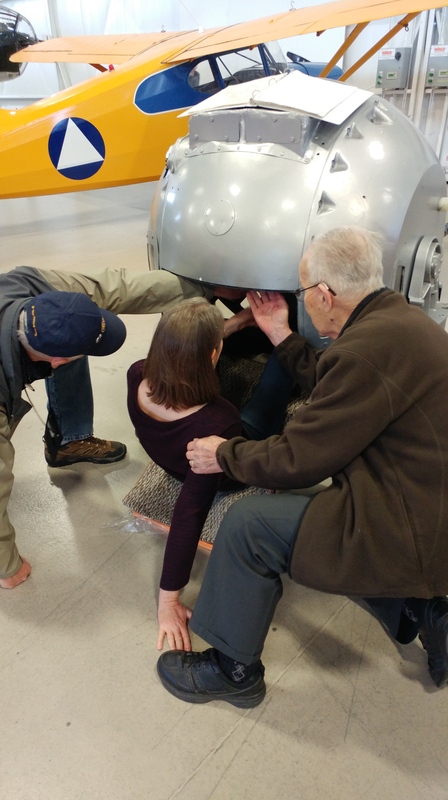 Our group got a close look at the restoration work on the museum’s B-17 Champaign Lady, getting a hands-on educational opportunity in our favorite subject, the Flying Fortress. We held parts in our hands, crawled through the work-in-progress fuselage and ball turret, and, of course, took more photos. 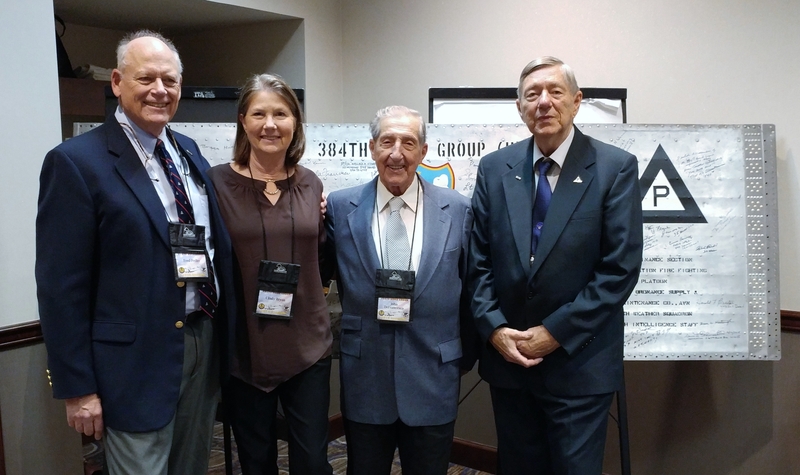 We even had the opportunity to meet two local WWII Army Air Forces veterans from different bomb groups, Red Ketcham and Art Kemp, who were also based in England during the war. You can see their photos in the gallery. 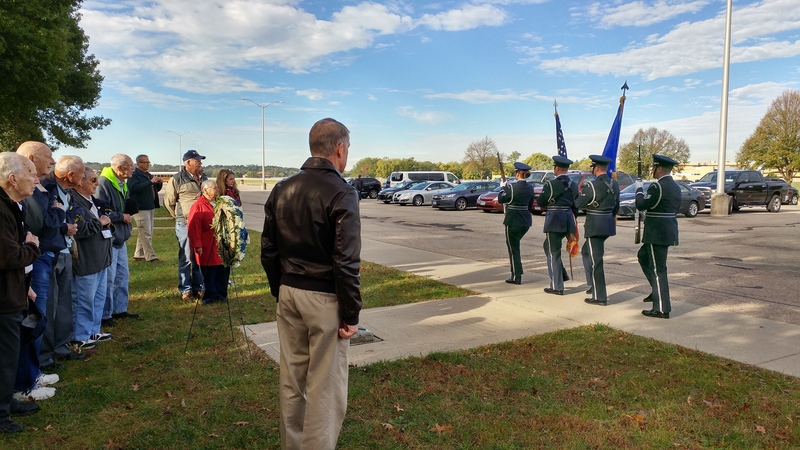 The obvious “stars” of our group are our veterans, but as the number of surviving veterans dwindle, it is up to the next generation of children, grandchildren, nieces, and nephews in our group to carry their memory forward. In addition to our five veterans, twenty-seven family members and five friends of the group gathered in Dayton this year. It is not just our country’s history we celebrate when we gather, it is our family history, too. Others like me seek to learn everything we can about our relatives’ involvement in that time long ago, not just for ourselves, but so that we can pass this knowledge down for generations to come. It took several days for me to return to “normal” from the travel between Florida and Ohio, and the reunion itself. But after my immersion of several days into the WWII air war over Europe, it will take me much longer to return to 2018 from 1945. Part of me is still there in that different world in that long ago time. 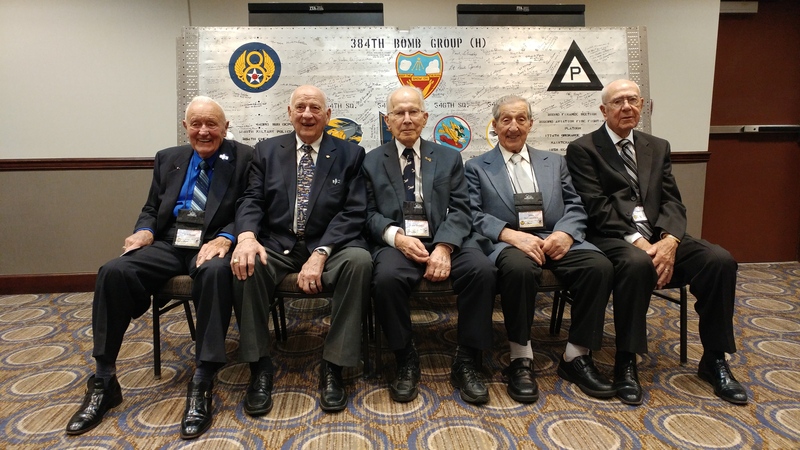 I recently returned from the 2018 reunion of the 384th Bomb Group in Dayton, Ohio. I plan to share more about the reunion in the coming weeks, but for now only have time for a few photo highlights. The group’s first tour was the National Museum of the USAF in Dayton. What better place for a photo op than in front of the Memphis Belle, probably the most famous of the type of aircraft our veterans flew in WWII, the B-17. 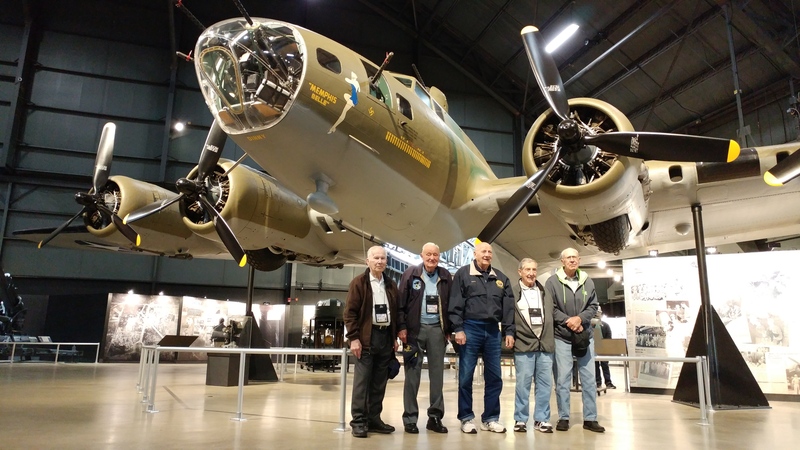 Veterans of the 384th Bomb Group in front of the Memphis Belle at the National Museum of the USAF in Dayton, Ohio. We had about four hours to explore the museum, but probably needed four days. …and I had the chance to see if I could fit into the ball turret. I did, but now can’t understand how those WWII ball turret gunners endured entire missions in that tiny capsule. I did also manage to get out of the ball turret. 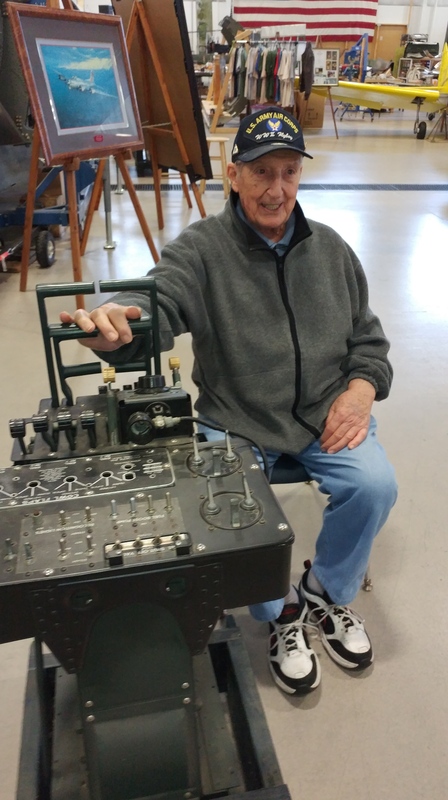 Afterwards, it dawned on me that I had a WWII ball turret gunner, Peter Bielskis, who had survived twenty-seven missions seventy-three years ago in the ball turret, helping me in and out of the one at the Champaign Aviation Museum! 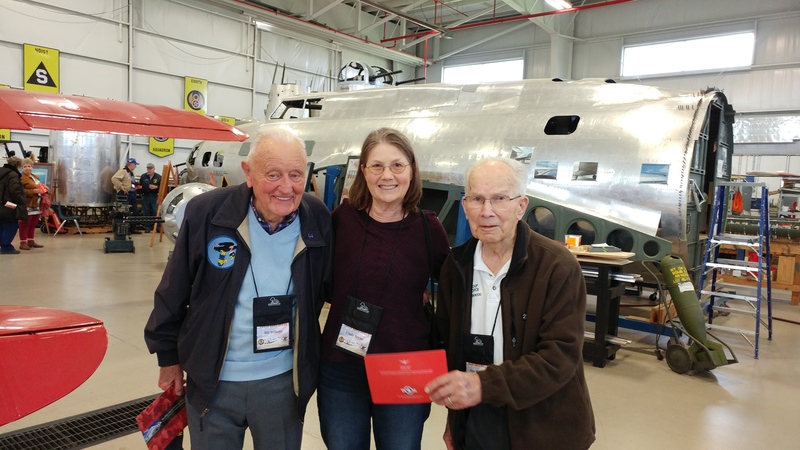 Left to right: Bill Wilkens, Cindy Bryan, and Peter Bielskis at the Champaign Aviation Museum in Urbana, Ohio. But the day’s fun didn’t end there. That evening our group enjoyed our gala banquet and finished this year’s reunion with a veteran group photo in front of the wing panel that over one hundred fifty of our 384th Bomb Group veterans have signed. 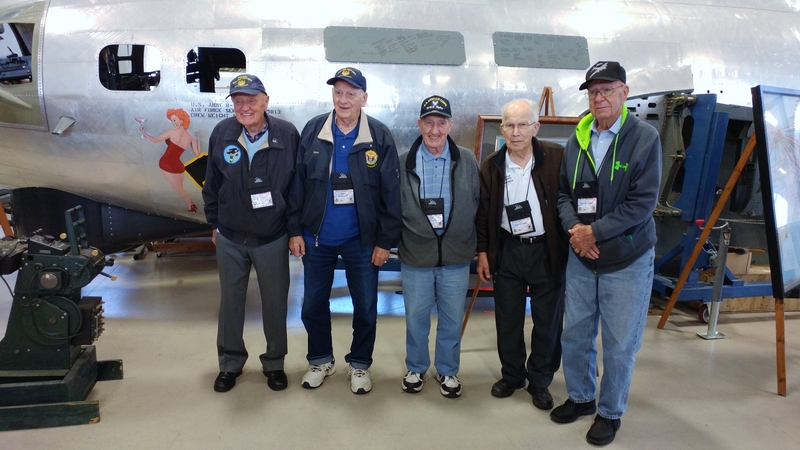 384th Bomb Group veterans at the 2018 reunion in Dayton. As I mentioned earlier, more details are coming in a few weeks. But until then, I have to rest up. It’s really tough trying to keep up with super heroes! When poet Edward Field and I visited Washington, D.C. earlier this year to honor Jack Coleman Cook, Edward had the opportunity to sit for a Veterans History Project interview at the Library of Congress. Edward’s friend David Perrotta arranged for fellow Library of Congress staffer Owen Rogers to conduct and record the interview. My husband Bill and I were invited to sit in to watch the proceedings. Ever so quietly with cell phones muted and seated comfortably out of camera range, we witnessed Edward recount his remarkable story of growing up in pre-WWII America as a gay Jewish man, his wartime service in the Army Air Forces, his post-war return to civilian life, and his journey to become a poet. Owen Rogers was kind enough to share the recording with me and I was honored to have the opportunity to edit and present Edward Field’s Veterans History Project interview on YouTube. Edward’s story is eye-opening. It shows us a time in America for which we can only feel shame for the actions of our forebearers upon a young man growing up in a neighborhood in which others felt his family didn’t belong. We see what it meant to be gay and Jewish in a long ago time that seems both so unlike our own time, yet so familiar, too. It is, at times, an emotional story. It is a story told through the heart of a poet. 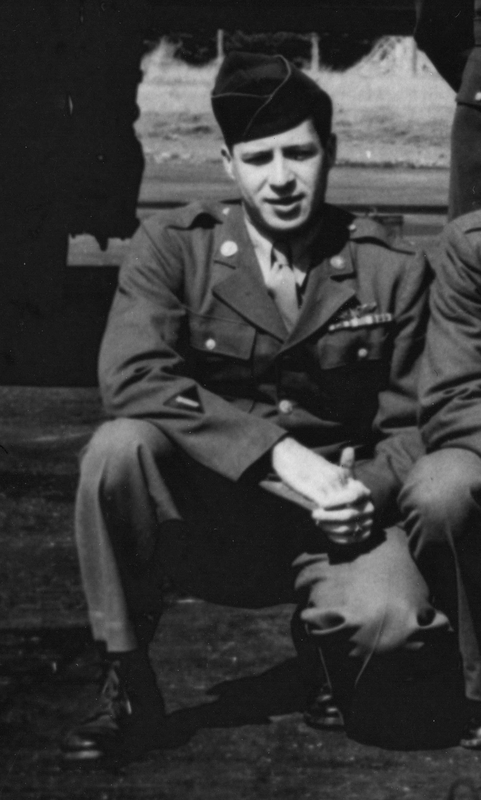 Aside from being an award-winning poet, Edward Field is a WWII veteran who served as a navigator aboard a B-17 heavy bomber in the 546th Bomb Squadron of the 384th Bombardment Group of the 8th Air Force. Edward’s Veterans History Project interview was conducted and recorded by Owen E. Rogers, Library of Congress Liaison Specialist, at the Library of Congress, Washington, D.C., April 11, 2018. Video photos courtesy of Edward Field, David Perrotta, Ryan Saylor, Delia Cook McBride, Ray Lustig and Susan Taylor. Video editor Cindy Farrar Bryan of TheArrowheadClub.com. Many thanks to Arkansas Congressman Bruce Westerman for honoring Jack Coleman Cook on the Floor of the House of Representatives April 12, 2018. Next week I will present “Cataract Op,” the unpublished WWII-related poem by Edward Field which he mentions in his Veterans History Project interview. A continuation of my previous post, Special Orders Number 86. The eleven Ardmore Army Air Field B-17 combat crews sent on their way to Grafton Underwood via Special Orders Number 86 were not all assigned to that air station at one time. 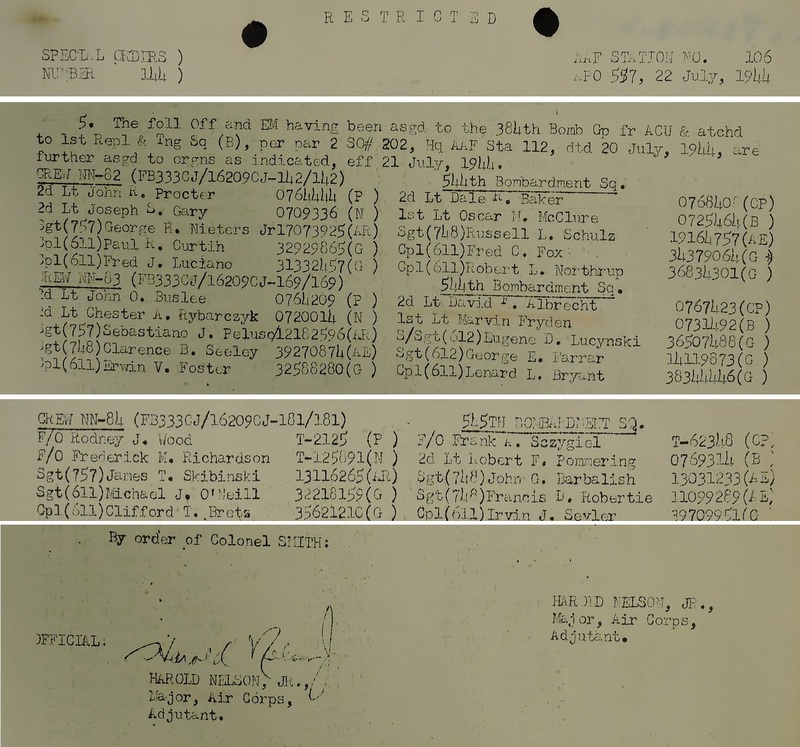 Special Orders Number 202 from HQ AAF Station 112, dated July 20, 1944, assigned seven crews (three of them from Ardmore and four others – see Note below) to the 384th Bomb Group effective July 21. The Proctor and Buslee crews were assigned to the 544th Bombardment Squadron and the Wood crew was assigned to the 545th. The Bills crew was assigned to the 547th Bombardment Squadron and the Plowman crew was assigned to the 546th. The Jung crew was assigned to the 544th Bombardment Squadron. The Brodie and Kinnaird crews were assigned to the 545th. The Cline and Duesler crews were assigned to the 546th. And the Brown, Jr. crew was assigned to the 547th.